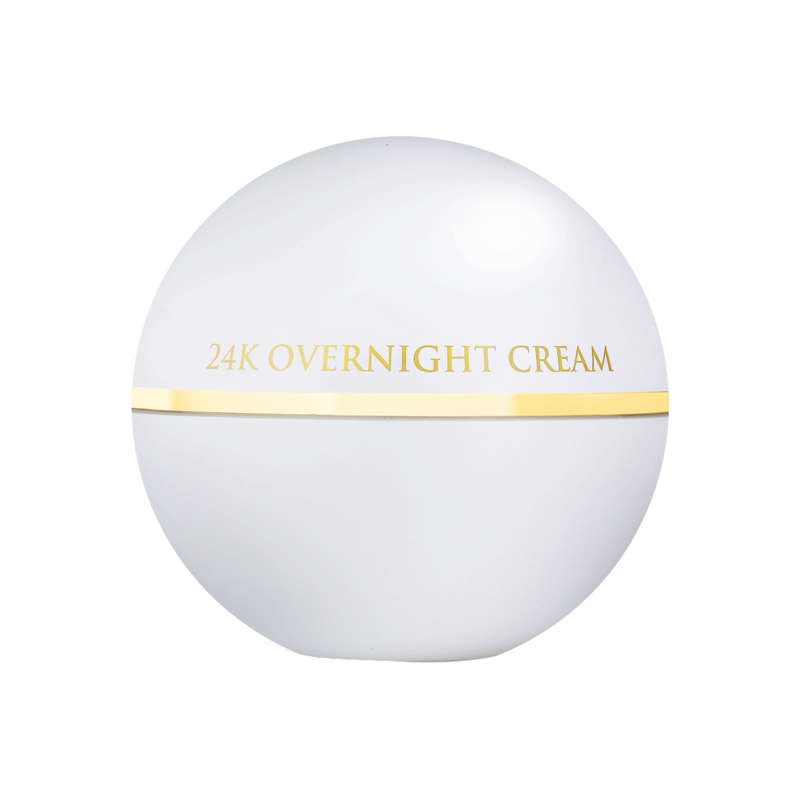 Achieve luminous skin with the OROGOLD 24K Overnight Cream. Formulated with Sweet Almond Oil, Shea Butter, other rich botanicals and infused with gold flakes, this cream is ideal for use at night to renew your skin and diminish the appearance of dryness, fine lines and fatigue. Apply to freshly cleansed skin. Massage a small amount over face and neck, until fully absorbed. Avoid application to eye area. Use once or twice, daily. Aqua, Prunus Amygdalus Dulcis (Sweet Almond) Oil, Isopropyl Palmitate, Glyceryl Stearate, Cetyl Alcohol, Behenyl Alcohol, Glycerin, Propanediol, Hydroxyethyl Acrylate/ Sodium Acryloyldimethyl Taurate Copolymer, Butyrospermum Parkii (Shea Butter), Organic Carthamus Tinctorius (Safflower) Seed Oil, Organic Simmondsia Chinensis (Jojoba) Seed Oil, Organic Aloe Barbadensis Leaf Juice, Organic Chamomilla Recutita Flower Extract, Organic Camellia Sinensis (Green Tea) Leaf Extract, Tocopheryl Acetate (Vitamin E), Retinyl Palmitate (Vitamin A), Tocopherol (Vitamin E), Sodium Hyaluronate, Polysorbate 60, Isododecane, Allantoin, Gold, Trisodium Ethylenediamine Disuccinate, Ethylhexylglycerin, Phenoxyethanol, Fragrance.